Hiro (Kyoto, Japan) on 2 October 2014 in Landscape & Rural. 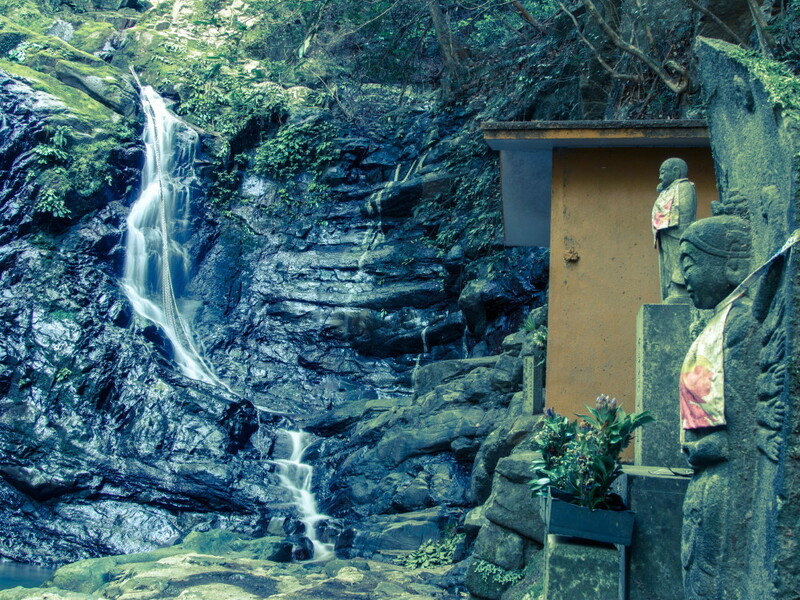 You can see statues just around the waterfall as well. That wooden structure stands out as an eyesore, though!!! Very beautiful composition. Stunning and superb ! Avec les statue à droit quelle vue de cette cascade et les chaîne superbe vue. I like the compsition ! Great scenery, nice waterfall, great composition. Love this compo and I can hear the wall fall.